Aimed at encouraging Girls to Live 4 God,” author DeChari Cole shares the true story of a girl in search of happiness and love  a search that leads her through the wild and unpredictable world of friendships, dating, heartbreak, and loneliness. Only when she is captured by the beauty and majesty of Christ does she find real joy in the center of God’s will for her life. 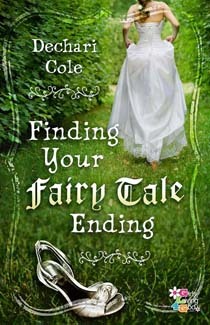 Finding Your Fairy Tale Ending shows teenage girls how to look beyond the make-believe messages of today’s culture. They will discover that with Jesus happily ever after” isn’t just for fairy tales! Dechari Cole is the founder of GL4G (Girls Living 4 God), an organization that wants to help break the mold of Hollywood and society's norms of self-indulgence and instead push for a movement of girls who are wholeheartedly learning to trust and seek God's wisdom and instruction. She lives with her husband in Nashville.